Tourism Week in Canada is organized nationally by the Tourism Industry Association of Canada (TIAC). It is a grassroots initiative that brings attention to the economic opportunity available to Canada through travel and tourism and the public policy challenges preventing the sector from capitalizing on those opportunities. 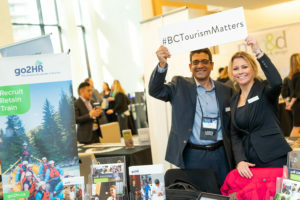 In British Columbia, the tourism industry celebrated because #BCTourismMatters! Take photos a nd share them on social media – in addition to capturing images of your community participating in Tourism Week activities, take photos of other tourism activities that you can share (attractions, tourism employees, your visitor centre, your welcome signage, etc.). 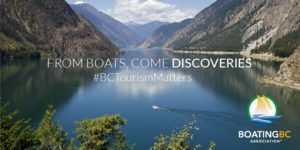 Use this white #BCTourismMatters banner in your imagery and encourage all your stakeholders to do the same. 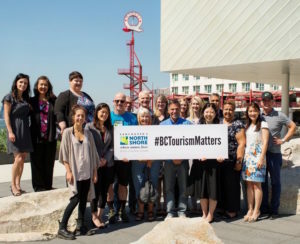 Share these images on social media using thehashtags ‪#‎BCTourismMatters and #TourismWeek. By using these hashtags we can ensure that all BC Tourism Week activities are easily tracked and shared. Encourage all your stakeholders to do the same. Follow TIABC, go2HR and Destination BC on their social channels. go2HR: Twitter, Facebook, LinkedIn and Instagram. Share, like, retweet and help all BC communities spread the word about Tourism Week. Tell your local media (radio, newspaper, television) about Tourism Week and your activities. We have developed a media release sample template with key messaging about the BC visitor economy. Communities can augment the release with information about local tourism services, attractions, amenities, development plans, key performance indicators and other news about the benefits your local visitor economy generates for citizens. Click here for a sample media release template. Send TIABC and Destination BC photos, videos, stories for our power of tourism initiatives. We are inviting the tourism industry to tell us their story by sharing 100-200 word written summaries, or short videos that describe your career journey, what BC’s tourism industry has given you, and what advice you would give to people considering a career in tourism. 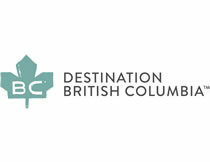 Submit your content to media.relations@destinationbc.ca and info@tiabc.ca. You can see examples here on the Power of Tourism here. Share stories of exceptional customer service with go2HR. Tell us about the time when someone in your organization delighted a customer and helped create a memorable experience. What did they do to make the experience so special? Send your stories, photos or videos to go2HR’s Showcasing Exceptional Customer Service page. And if you are passionate about your career in tourism and want to inspire students and others to join the industry, email jlam@go2hr.ca about how you can join the speakers’ bureau. – Highlighting a different tourism “ambassador” each day on social media and in the local media to highlight the different types of tourism players in a community. For example, a hotelier, a retailer, an attraction operator/owner, frontline staff, students, etc. Have fun with Tourism Week – celebrate, share and engage. 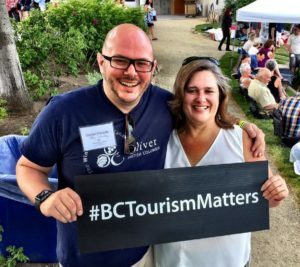 Because, #BCTourismMatters.